These projects were designed to facilitate making experiences for children in settings ranging from chaotic classrooms to quiet galleries. I view these works as design projects. User observation, user testing, material consideration, and technical troubleshooting featured in the realization of each. This project is effective for teaching scenerios in which an instructor is low on assistance. 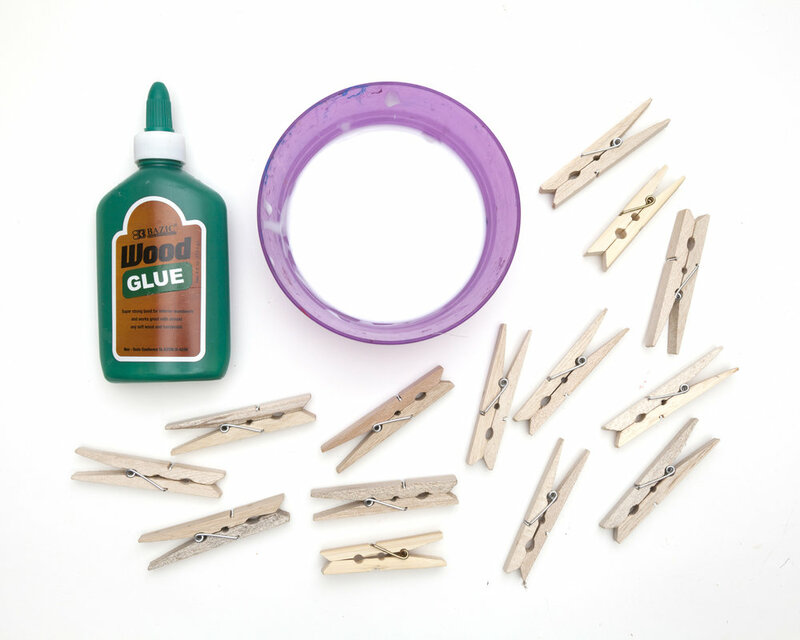 Mastery of only two skills- pinching and dipping and access to only two materials- clothespins and wood glue, is required for students to make unique structures. It is also a helpful way to showcase for children the magic of good glue bonds. These structures are unstable when created, but quite rigid when dry. These puppets can be enjoyed by children across a wide age range. In some cases young children are unable to correctly produce slits and holes in their paper. However, these forms are quite easy for teachers to mass produce. Further, in some settings, these tasks create good opportunities for older students to aide younger students. Children learn that a puppet need not speak and can be animated in a number of ways. This project is most effectively taught to small groups of children as it requires patience and some material struggle. The lesson functions well alongside an introduction to the work of Alexander Calder and artists who use repurposed materials. This project requires the purchase of Model Magic, a slightly pricey modeling material. However, it is well worth it as each child only requires a small amount to make this project. In some cases, students will need clay mixing encouragement or technical help. But generally, a lot of joy is found in chanting "fold and smush! fold and smush!" 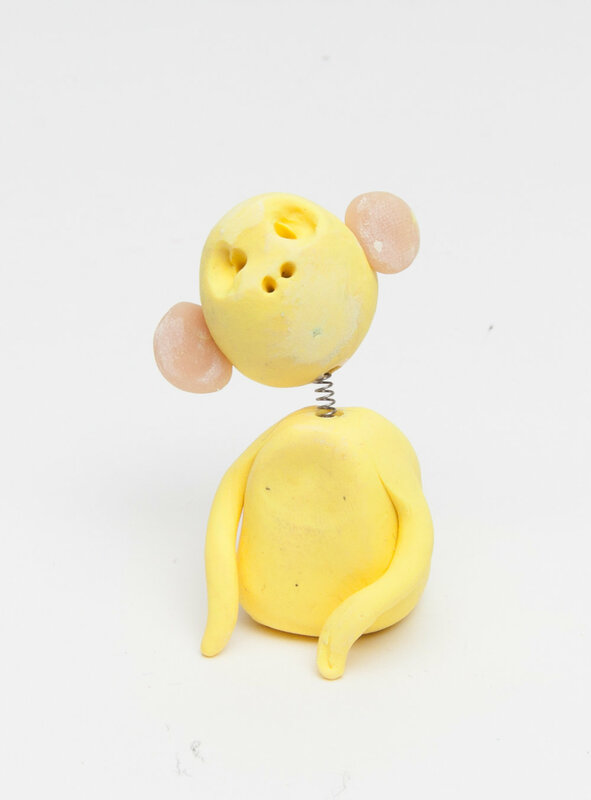 which is the most efficient way for small hands to knead clay. This project is a great introduction to color theory. Young children can learn vocabulary words such as "tint" and "gradient." Older children can experiment with complementary colored details. This project is a good compliment the study of motion and "Simple Machinery." In constructing accordions students can easily see how motion is transferred along an accordion structure. The project requires preparation with a dremel or drill, as popsicle sticks are not sold with the appropriate holes in them. A fun collaborative project for camp settings and energetic groups of children. Students learn about experimental art making techniques (Jasper Johns' "Diver" is of relevance) and can see the symmetry of their own bodies. A range a wingspans make for a more dynamic composition. 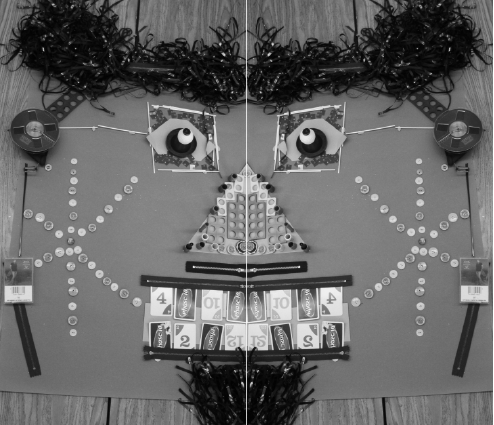 In many cases art facilitators have access to fun materials that are difficult for children to incorporate into art projects without adult help. This project provides a way to make use of these materials without a glue gun line. 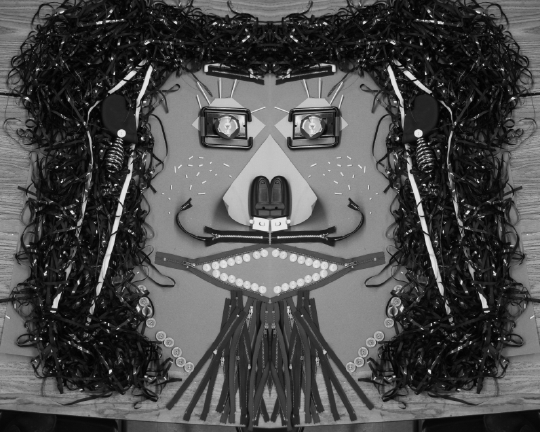 In some cases it is helpful to layout a schematic of half of a face so that students can better visualize a character in their assemblage.